The New and Used Audi Parts Specialist for all Audi models worldwide. Donor Car: 1995 Audi 80 Cab 2600cc. Audi Part Number: Unknown. It may fit others. AUDI 80 1995 SPORT SE 2.0 Litre PEDAL BOX. FOR SALE IS A USED GENUINE FOOT REST TRIM PANEL REMOVED FROM AN AUDI 80 CABRIOLET. PART NUMBER IS 894 863 737. Audi Coupe 1981 - 1988. Audi 80 1979 - 1987. FOR SALE IS A USED BUT GOOD CONDITION, PEDAL BOX FROM A 1984 AUDI GT COUPE WITH A 5 SPEED MANUAL GEARBOX. 01728 685027. The New and Used Audi Parts Specialist for all Audi models worldwide. Donor Car: 1997 Audi 80 Cab 2600cc. Audi Part Number: Unknown. It may fit others. 3 Piece Car Pedal Pad Kit. Clutch Pedal Cover: 80 mm x 80 mm. Gas/Accelerate Pedal Cover: 128 mm x 65 mm. 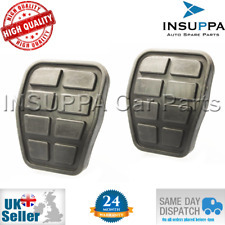 Brake Pedal Cover: 80 mm x 80 mm. 1 x Gas Pedal Cover. 1 x Clutch Pedal Cover. 1 x Brake Pedal Cover. FOR SALE IS A USED BUT GOOD CONDITION, PEDAL BOX BRACKET FROM A 1988 AUDI 80 B3 SHAPE WITH A MANUAL GEARBOX. SEAT AROSA (1997-2004). SEAT IBIZA II (1993-2002). SEAT ALHAMBRA I (1996-2010). SEAT CORDOBA I (1993-2002). AUDI 80 B2 (1978-1986). AUDI 90 B2 (1984-1987). 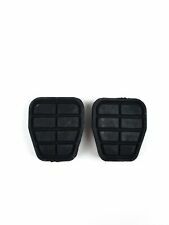 1 SET OF 2 RUBBER PADS FOR BRAKE AND CLUTCH PEDAL. IBIZA II (6K1) 1.3 i (1993-03 » 1999-08), mot. 2G, AAV, 40kW, 54HP, 1272ccm. IBIZA II (6K1) 1.4 i (1993-09 » 1999-08), mot. ABD, AEX, AKV, APQ, 44kW, 60HP, 1390ccm. IBIZA II (6K1) 1.4 i 16V (1997-06 » 1999-08), mot. AUDI 80 1994 GENUINE CLUTCH PEDAL - COUPE / CABRIOLET ?? FOR SALE IS A USED BUT GOOD USABLE CONDITION GENUINE CLUTCH PEDAL REMOVED FROM A 1994 AUDI 80 2.6 E.
The carAudi 80 - 90 - S2 (B4). Warranty on electronic devices is void if identifying mark is removed or has sign of tampering. Looking for used car parts?. We have lots of spare parts listed, and about 500 000 spares in the warehouse! Caddy 1983 - 2003. Passat 1994 - 1997. This sale is for single pedal pad rubber only. Jetta 1979 - 1984. Polo 1995 - 2000. Golf 1979 - 1998. VEHICLE MODELS / YEAR. FOR SALE IS A USED BUT GOOD USABLE CONDITION GENUINE CLUTCH PEDAL REMOVED FROM AN AUDI 80 B4 SHAPE. JK Part Number: J17035Good quality reproduction product. Sold individually. Fits the clutch or brake pedals on T4s from 1992 to 2003. Water-Cooled Petrol (1990 - 2003) Water-Cooled Diesel (1990 - 2003) . Throttle Position Sensor fits AUDI 80 B2 1.8 1986 DZ Bosch. AUDI 100 (44, 44Q, C3) 1.8 Cat Saloon Petrol 03/1985 11/1990 FWD 8 90 66. AUDI 100 (44, 44Q, C3) 1.8 Cat quattro Saloon Petrol 08/1985 11/1990 AWD 8 90 66. RUBBER BRAKE PEDAL PAD FOR AUDI. AUDI 80 (80, 82, B1) 1.6 GT 09.73 - 07.76 74 100 1584 Saloon. AUDI 80 (80, 82, B1) 1.6 GTE 01.76 - 07.78 81 110 1588 Saloon. AUDI 321721173. AUDI 80 (81, 85, B2) 1.6 GLE 08.78 - 07.82 81 110 1588 Saloon. Throttle Position Sensor fits AUDI 80 B3 1.8 86 to 91 Bosch. AUDI 100 (44, 44Q, C3) 1.8 Cat Saloon Petrol 03/1985 11/1990 FWD 8 90 66. AUDI 100 (44, 44Q, C3) 1.8 Cat quattro Saloon Petrol 08/1985 11/1990 AWD 8 90 66. Sharan 1996 - 2010. Vento 1992 - 1998. 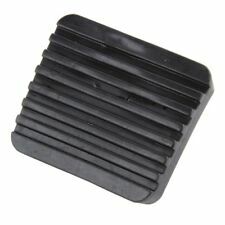 VOLKSWAGEN/AUDI ACCELERATOR GAS PEDAL RUBBER PAD. Audi Coupe 1981 - 1988. Polo 1995 - 2000. 24 MONTHS WARRANTY ! Jetta 1979 - 1984. Transporter 1999 - 2004. 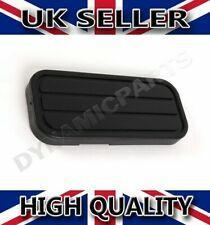 ACCELERATOR GAS PEDAL PAD RUBBER NEW . Caddy 1983 - 2003. Passat 1994 - 1997. Jetta 1979 - 1984. Polo 1995 - 2000. Golf 1979 - 1998. No fitting instructions are provided with the product. We have many years experience in the automotive components and fasteners industry. TRANSPORTER CARAVELLE T4 1990-2003. TRANSPORTER T4 CAMPER VAN 1990-2003. TRANSPORTER MK IV 1990-2003 PLATFORM/CHASSIS. A PAIR OF CLUTCH and BRAKE PEDAL PAD RUBBER. TRANSPORTER MK IV 1990-2003 BOX. 80 81, B2 1978-1986 SALOON. Fits both brake and clutch pedal. AUDI 80 (80, 82, B1) (1972-1978). AUDI 80 (81, 85, B2) (1978-1986). AUDI 90 (81, 85, B2) (1984-1987). 1 RUBBER PAD. material: rubber. Always carefully compare OE number and pictures with your old part. Vento 1992 - 1998. 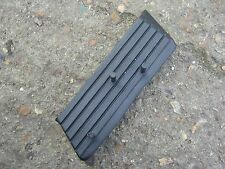 VOLKSWAGEN/AUDI ACCELERATOR GAS PEDAL RUBBER PAD. Transporter 1999 - 2004. Audi Coupe 1981 - 1988. 24 MONTHS WARRANTY ! Compatible for the following vehicles. Jetta 1979 - 1984. Golf 1979 - 1998. Why this exclusivity?. Colour: Black. We apologise in advance for any inconvenience caused. Clutches & Flywheels. AUDI 6X0721173A01C. 12 months warranty on all orders. We just want you and your car to be happy! Eg, Vetech, Erst Klassig, Franzen, NK, etc. We will always attempt to rectify the issue as fast as possible! SEAT IBIZA II (6K1) (1993-1999). SEAT IBIZA III (6K1) (1999-2002). SEAT CORDOBA (6K1, 6K2) (1993-1999). SEAT CORDOBA (6K2) (1999-2002). SEAT CORDOBA Vario (6K5) (1996-2002). fits both brake and clutch pedal. Throttle Position Sensor F026T03023 Bosch. Part Number F026T03023. Model year to: 01/1986. Engine Code: JS. Engine Code: HY; Model year from: 01/1985; Model year to: 01/1986. Engine Code: HP. SEAT TOLEDO (1L) 1.8 16V Hatchback Petrol 05/1991 03/1999 FWD 16 125 92. SEAT AROSA (6H) 1.0 10.98 - 01.01 37 50 997 Hatchback. SEAT AROSA (6H) 1.0 05.97 - 06.04 37 50 999 Hatchback. SEAT AROSA (6H) 1.4 05.97 - 06.04 44 60 1390 Hatchback. SEAT AROSA (6H) 1.4 16V 01.00 - 06.04 74 100 1390 Hatchback. VOLKSWAGEN VENTO (1991-1998). SEAT TOLEDO I (1991-1999). 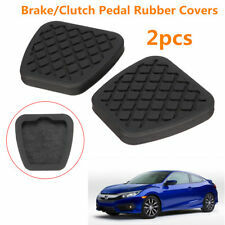 1 SET OF 2 RUBBER PADS FOR BRAKE AND CLUTCH PEDAL. VOLKSWAGEN JETTA II (1984-1992). VOLKSWAGEN GOLF III (1991-1998). VOLKSWAGEN GOLF II (1983-1992).